Adding Custom Fonts to Blogger can improve the look and feel of your blog. Before getting into font embedding lets know how this works. In your templates you can use any font you want, but these would be properly displayed only if the viewer has those fonts installed on his/her System. Font embedding Techniques allows you to use any font on your Blog and these fonts will be viewable to the viewers even if they don’t have the font installed on their Systems. This is the best and robust method to add custom fonts to your blogger blog. It uses the @font-face technique but you needn’t worry about the backend things. You can see a list of available Fonts at the Google Font Directory . Find <head> and immediately below that line paste the edited Embed Code and save your template. In This definition serif is a fallback font which will be used in case the something bad happened when loading the custom font. (It is a safe practice to include at least one Fallback font and it will help in tackling unexpected behaviours) After editing the above CSS with the proper Custom Font name,add the code above the closing ]]></b:skin> tag in your template. You can alter other fonts in your Template by modifying the font-family definitions in your template. When you use multiple Custom Fonts, then there is no need to add the Google CSS embed codes multiple times.You can load multiple fonts using a single line of code. By Default the Google API provides the Regular version of the Font. If you need specialised versions like bold, italic or bold and italic, then you have to append :b , :i or :bi to the font name in the google font embed code. 2.Browse through the Fonts at Kernest. 4.If the Font is free you will find the embed code below the font demo. 5.Login to your blogger Template and Go to Design > Edit HTML and paste this code just below the <head> tag in your blogger template and save it. 6. Now you can use this Custom Font name inside your CSS style Definitions. 1.You should have the font with you in TTF , OTF or PFB formats. Make sure that “The EULAs of these fonts allow Web Embedding” . I would advice you to use the Google Font Embedding API , but the Fonts available on them are now limited. Kernest also has a good Collection of Fonts. If you use Cufon make sure that you have the rights to use the font. Cufon will allow you to use virtually any font but its not as robust as the other two methods. If you have any doubts regarding Font Embedding, please let me know via the comments and i will try to help you out. Hi, I dont want a custom font. I just want to change my default font but I dont know the line in "Edit HTML" section. Can u show me? If I change that line, whole blog's font changes. I just want to change my post's font. How can I do that? Which line for post's font? When you said the other solutions were more robust than Cufon option what did you mean? Also not sure if this is the source, but since i changed to Cufon method it appears as though my browser IE8 appears to crash more often? Customise Your Comment Form ...hmm.... with mouse over effect! I want to back link your post to my blog, but I cant find link to this post. Where do you put "link this post"? Its make me easy to back link your post. Thanks for sharing, this has been a long time question mark in my blogging. I have seen others changing their fonts, but I could never figure it out! 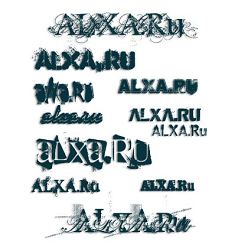 Great, costum fonts will improve ease of understanding my blog. Google Font, Kernest, Typekit and Cufon don't have Delicious fonts. How do I add the Delicious fonts to my blog? My blog system is Blogger. One of my friends want to know this trick, Thanks i can now tell him. Thank you very much! If it was not for this post, i would not have made my blog lay-out sexier than ever! However, instead of adding the fonts individually to the locations (like the h1, h2, etc) where you want them, you can just modify the ones in the "Variable Definitions", the part where, as i have discovered, modifies the blog lay-out universally. The modification seems to work just like the Template Designer function. Just find the locations where fonts are applicable, and replace those that are highlighted between apostrophes ('') with the name of the fonts you have chosen to use in your blog. nice but i want the sing in form on my blog. Thank you for sharing with us those useful informations. Im sure I will goin to use it on one of my sites. Best tutorial on customizing a blog!!! Is it possible to use two cufon fonts at the same time on blogger? I just couldn't get this to work at ALL, no matter what I tried. Ganymede's Prisoner's suggestion worked beautifully though. XML error message: The reference to entity "subset" must end with the ';' delimiter." I'd like to set the fonts for a specific html widget, not the entire blog...any tips for how to accomplish this? @Every Widget will have an ID. So if you want to use the custom font for this particular widget, you should add this to your template's CSS part. XML error message: The character sequence "]]>" must not appear in content unless used to mark the end of a CDATA section. I followed the directions for the Google fonts, but when I applied it to my blog, nothing changed, even after I saved it...what am I doing wrong? i don't know what i'm missing on here. i've done it to change my date header & post title, and i see nothing. i'm a complete beginner at trying to do anything in html, but i feel like i've followed the directions 10 times. any help. after 2 hours of trying to implement my new font, i almost gave up. then i tried what Ganymede's Prisoner said, and it worked. i seriously got a tear in my eye! fiu~ thanks a lot!! it worked!! maybe it's because the " are changed to ' after saving or other reason. Anyone can help ? in the first line of the post but using a fun font. Then the rest of my post would appear in the normal font for that post. How can I do this? I am beginner but can follow directions. Hi i need help editing my sidebar widgets.I want to change the font and font size while using a custom template but I cant find the code responsible for this within the xml. Hi, thank you so much for the guide. I was wondering if you can help me here. using the cufon option as you mentioned; only header font and post title font changes. what if i want to change top menu font and side bar title font too with the same option. what should i add then? Please help! I tried this and it didn't work on my template. Any suggestions? I would like to get that fancy font off. Can I change the entire blog's font via Cufon!!!????? XML error message: The reference to entity "subset" must end with the ';' delimiter. Thank you so much, the demonstration of where to paste the code in the template was very helpful!! Hi i wanna to know how to add the other language i mean the karen font for bloger if u know please tell as.. thank..
First off, thank you for posting this tutorial. It worked without any problems. I used the Cufon Font Embedding method. I was wondering how I would use this same font on my date / blog posts and labels area. it doesn't work on mine. ummm, sorry...i use google font api, but it doesn't work on my blog...can you help me? Read 2-3 articles with no help. Solved my problem with this one. Thanks so much! I've tried adding a Google web font before by myself, but I never knew I needed the slash at the end. I did it with my blog and now it works. Yay!